There are two different ways of addressing Japanese family members. One of them is when talking about your own family members to other people, and the other one is when mentioning someone's family members. Japanese has this culture that they need to pay respect (尊敬 - そんけい sonkei) to other people when mentioning someone's family members. While at the same time they have to be modest (謙譲 - けんじょう kenjou) when mentioning their own family members. 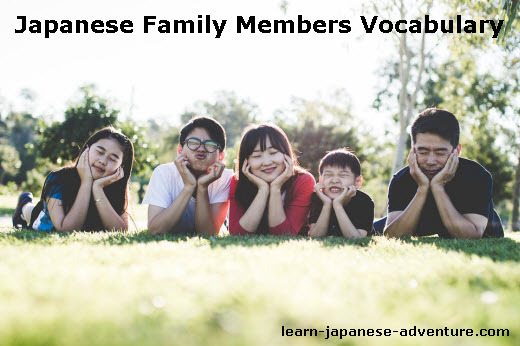 Therefore if they have to mention someone's family members in a conversation, they will address them with the words that are more respectful for the Japanese family members. Whereas if they are talking about their own family members, they address them with the words that will express their modesty. Let's check out what we have for own family members in the following list. 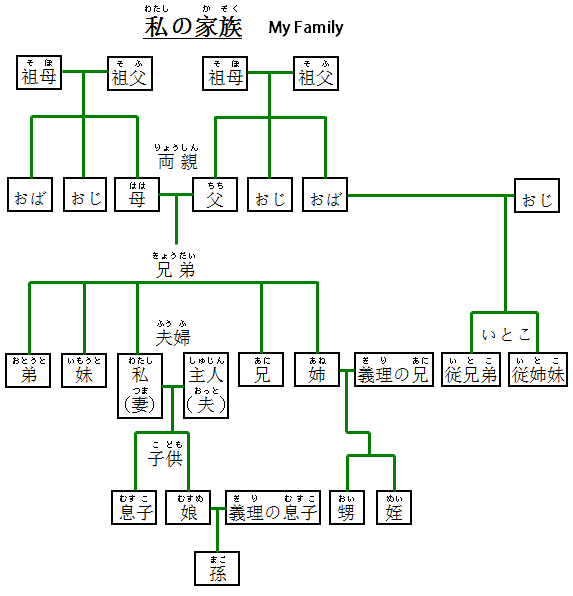 The following is the word list for one's own Japanese family members. 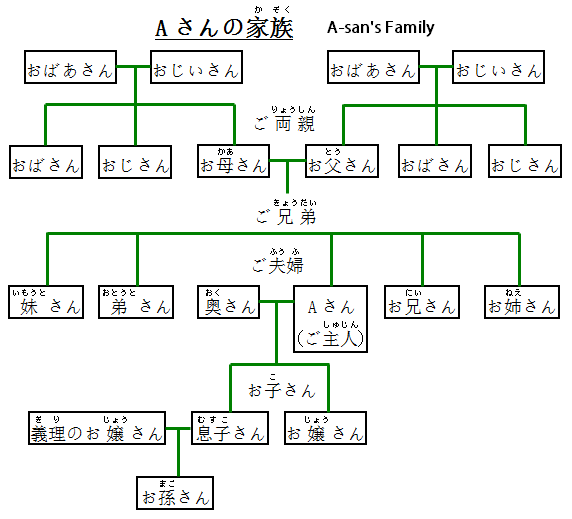 The following is the word list for someone's Japanese family members.